The TRIM5α restriction factor can protect some species of monkeys, but not humans, from HIV infection. It has also emerged that some monkeys have a cyclophilin A domain retrotransposed into the TRIM5 locus resulting in the expression of a TRIMCyp protein with anti-retroviral activity. 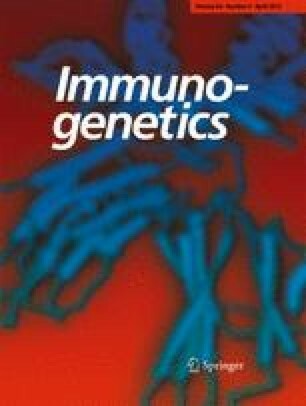 A high degree of sequence variation in the primate TRIM5 gene has been reported that varies between populations of rhesus macaques, a widely used non-human primate model of HIV/AIDS, and recently shown to correlate with susceptibility to simian immunodeficiency viruses in this species. Cynomolgus macaques are also used widely in HIV research. A non-indigenous population on Mauritius has highly restricted genetic diversity compared with macaques from Indonesia. The relative allelic diversity of TRIM5α and TRIMCyp within these two sub-populations may impact on the susceptibility of the macaques to simian immunodeficiency virus thereby influencing the outcome of studies using these monkeys. We sought to establish the genetic diversity of these alleles in cynomolgus macaques. We identified seven TRIM5α alleles in Indonesian macaques, three of which are novel, but only three in the Mauritian-origin macaques. Strikingly, 87% of Indonesian, but none of the Mauritian macaques, possessed a retrotransposed Cyp domain. A splice acceptor site single-nucleotide polymorphism that allows formation of a TRIMCyp protein was absent for the TRIM5α alleles found in the Mauritian macaques. The level of allelic diversity reported here is greater than previously proposed for cynomolgus macaque species. We gratefully acknowledge the expert assistance of veterinary and support staff. We thank Sam Wilson for designing the oligonucleotides. This work was supported by the NIHR Centre for Research in Health Protection at the Health Protection Agency, grants G0600007 and G0801172 from the UK Medical Research Council, the UCL/UCLH National Institute of Health Research Comprehensive Biomedical Research Centre and senior fellowship no. 090940 from the Wellcome Trust to GJT.